Start off your visit on the 20th (Fri): explore the wealth of natural beauty at Pyha-Luosto National Park. Get ready for a full day of sightseeing on the next day: see exotic creatures in open habitats at a safari tour and then identify plant and animal life at Kopara Reindeer Park. For ratings, reviews, more things to do, and more tourist information, go to the Pyhatunturi trip builder tool . Johannesburg, South Africa to Pyhatunturi is an approximately 22.5-hour flight. Expect much colder weather when traveling from Johannesburg in September: highs in Pyhatunturi hover around 14°C, while lows dip to 5°C. Finish up your sightseeing early on the 21st (Sat) so you can travel to Inari. Gold Prospector Museum and Saint Tryphon Pechenga Orthodox Church are good opportunities to explore the local culture. 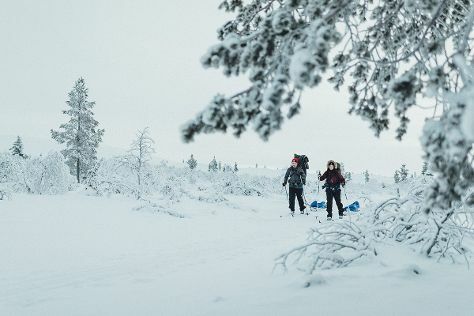 Discover out-of-the-way places like Urho Kekkonen National Park and Saariselka Ski & Sport Resort. For traveler tips, other places to visit, reviews, and tourist information, refer to the Inari trip itinerary maker tool . You can drive from Pyhatunturi to Inari in 3.5 hours. In September, plan for daily highs up to 13°C, and evening lows to 4°C. Finish your sightseeing early on the 25th (Wed) so you can drive to Akaslompolo. On the 26th (Thu), look for gifts at Akaslompolo Sportshop and then get outside with Seven Fells Up. To see reviews, traveler tips, more things to do, and other tourist information, go to the Akaslompolo road trip planner . Drive from Inari to Akaslompolo in 4 hours. Alternatively, you can take a bus; or take a bus. In September, daily temperatures in Akaslompolo can reach 13°C, while at night they dip to 5°C. 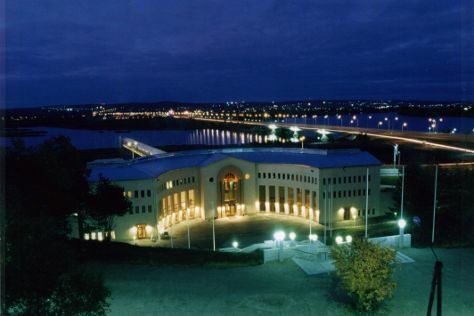 Cap off your sightseeing on the 26th (Thu) early enough to go by car to Rovaniemi. Escape the urban bustle at Feelapland and Auttikongas. You'll discover tucked-away gems like German Soldier s Cemetery and Rovaniemi Local History Museum. Next up on the itinerary: take an in-depth tour of Arktikum, see Santa Claus Office, look for gifts at Your Piece Of Finland, and see the interesting displays at Santa's House of Snowmobiles. To see where to stay, maps, ratings, and tourist information, refer to the Rovaniemi day trip planning tool . Getting from Akaslompolo to Rovaniemi by car takes about 2.5 hours. Other options: take a bus. In September, plan for daily highs up to 13°C, and evening lows to 6°C. Wrap up your sightseeing on the 29th (Sun) to allow time to travel back home.